You may or may not recall that I did some knitting for Laura Long for one of her next books. 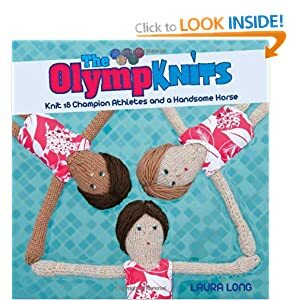 Well, the book is called OlympKnits!! What a fabulous idea. If you’ve been bitten by the Olympics bug like I have you could knit your own Olympic team! In the book there are ten different athlete patterns and a pattern for a horse. I wonder if any of my knitted people made it into the book?